As with many generations of Christians, it is common for us to struggle with the book of Revelation in the Bible. The first three chapters appear to be easy, then it gets slightly odd for most of the book, and then comes back to “God wins!” So, we chalk it up to odd prophecy, accept what Uncle Bob said about Revelation, and go on with life. Every now and then, we make a best-seller out of the latest possible application of the text and then, when the times change again, that one hits the bargain bin and we move on. 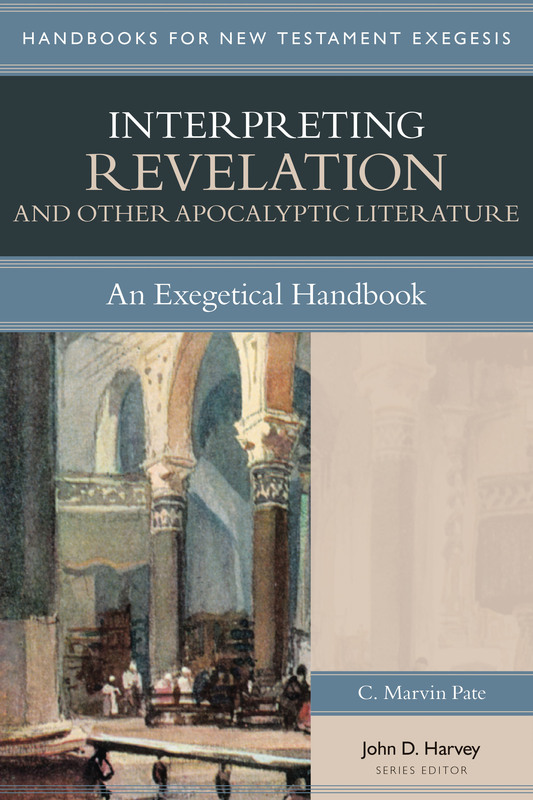 What, then, is the best use of the book of Revelation? The first need is that we treat Revelation just like any other Biblical text: interpret it properly, according to genre, text, context, and history. Then we look at how that applies. How does Pate work though this goal? First, he summarizes what the term “apocalyptic literature” means, including noting the SBL definition from 1979. He also addresses books like Revelation and Daniel which mix apocalypse with other genres. Then, he develops the importance of understanding the historical era in which literature of the “end” is written, including pointing to historical events that find their parallels in the prophetic. Note that many of these parallels are used as illustration more than claiming them as fulfillment: the Roman habit of “triumphs” and “arches” would have been well-known, so the imagery borrows well. Much like how modern preachers might use television or sports as images for material now. Pate then works through the connections between some apocalyptic passages and areas in the Gospels, and then draws lines between the Old and New Testaments. Those lines then arc forward into the age to come. This is done well. It is worth noting that the book’s perspective trends more toward a “covenant theology” than toward a “dispensational theology,” but has value for either viewpoint. Pate believes in a literal return of Jesus—beyond that, this work provides tools to understand what Scripture says about all of the concurrent events with that return. Further, though, the real strength is this: how do we live now according to that which is to come? Can we draw anything from Revelation other than “someday, we’re out of here…”? Yes, we can. Pate’s final chapters address developing messages from Revelation for the church today. He makes points based in wisdom and practicality. Even if Dr. Pate wasn’t on the faculty of the OBU School of Christian Studies, I’d recommend this book. It’s a good challenge for next-level Biblical interpretation: how do we take the principles and apply them to this type? I did get this book free, but I gave up a coffee cup for it. So it’s like I paid for it.